Ready for your B.O.S.S. life? Join our list and get 10% OFF your first order + you’ll also get exclusive deals, inspiring content and more! This fragrant grass has amazing properties and contains vitamins, minerals and antioxidants. With more protein than any other seed (and one of the best plant-based sources of complete protein), hemp seeds also deliver valuable fatty acids and minerals. These delicious nuts contain an array of vitamins, fiber and fatty acid goodness. Called the “queen of health plants,” Noni offers an array of benefits, from antioxidants and 17 of the 20 amino acids, to vitamins, minerals, and polysaccharides. Healers in Polynesia have used the Noni fruit for over 2000 years. It has superior anti-aging and immune boosting properties. Heating honey destroys valuable nutrients while keeping it raw preserves all the natural and beneficial enzymes, phytonutrients, vitamins and minerals. We only use raw honey in our bars. Tasty and familiar, these little berries are big on antioxidants and phytoflavinoids, along with vitamin C and potassium. 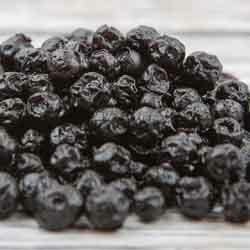 We use blueberries from Michigan, which is an ideal place for them to grow. Soft, fragrant culinary lavender provides not only a unique flavor but also nutrients like iron. Also known as chokeberries, these potent berries have more antioxidants than açai, goji, and most other fruits and berries that carry antioxidant claims. They are also a good source of iron and vitamin C.
An antioxidant and mineral rich tea, this is used in our Rooibos Coconut Syrup and is sourced Fair Trade. Rich in selenium, these hearty nuts also contain many other vitamins, minerals and mono-unsaturated fatty acids. Best enjoyed raw, this aromatic oil has high levels of beneficial acids and is a source of healthy fat. Medium chain triglycerides are great for cognitive function and weight management. Fiber, vitamin C and phytonutrients abound in these little berries. They also provide quercetin, which is great for athletics. Full of the “good” fat, these tasty nuts deliver vitamins, minerals and the perfect ratio of omega-3 and omega-6 essential fatty acids. Cherries are a potent fruit with numerous benefits. Not only are they high in antioxidants, they also help with rest and movement. 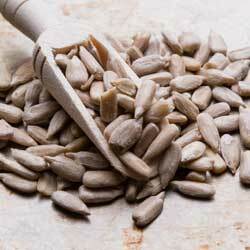 These tasty nuts are full of fiber, vitamins, minerals and omega-3 fatty acids. These pretty Patagonian berries are loaded with antioxidants and have been used medicinally by indigenous cultures for centuries. Used in our Rooibos Coconut Syrup, coconut nectar is low glycemic and contains minerals, enzymes and 16 essential amino acids. The old saying, “an apple a day…” rings true as this powerful fruit delivers plenty of vitamins and minerals. Vitamins, antioxidants and phytonutrients complete the nutritional profile of these mighty seeds, which also contain tryptophan. 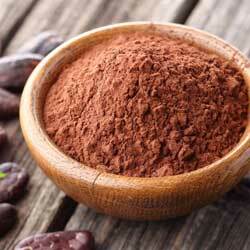 Full of antioxidants, raw cacao is also wonderful for improving mood. 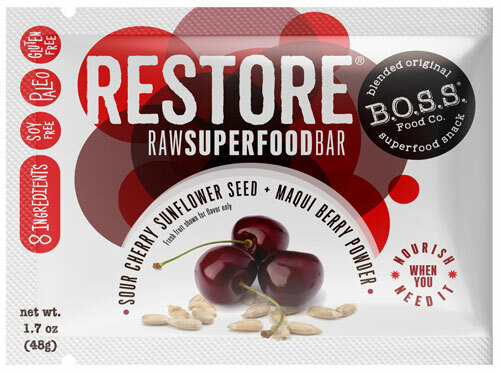 I got the RESTORE B.O.S.S bars, was a great flavor of fresh sweet & sour cherries! I typically enjoy these bars when my days are long and full of unhealthy eating choices. As I remember I have a Superfood bar in my pocket, I feel wiser knowing I can eat well and continue my day. These super food bars are an incredible on the go source for appetite control! I forgot to pack my lunch for work, and remembered that I had BOSS Food co. Super food bar in my purse! Much to my surprise it held me off until dinner time and tasted delicious! I got the restore. It was so delicious. I was upset when it was gone! Never thought a raw food would be so tasty. Really opened my mind to new things. I really appreciate B.O.S.S. Bars! As one with many food allergies, I am able to enjoy the THINK, MOVE and SMILE bars with confidence. The care and purity in each bar give me great options for a quick snack, and sometimes even a meal replacement. Also, as a diabetic, I am able to use the differing sugar levels in B.O.S.S. Bars according to my physical activity needs. Beyond knowing every ingredient is pure food, each bar tastes fantastic. Thank you, B.O.S.S. Food Company! I really like these bars. I travel a lot and was looking for something to help me eat healthy on the road. These bars are small enough to put in my purse and pack in my suitcase, taste great and are made with healthy ingredients with no preservatives or added sugar. I highly recommend these bars to anyone trying to stay on track and constantly on the go. I want to know exactly what I am putting into my body and fueling with B.O.S.S. bars that contain real ingredients like dates, sunflower seeds, bananas and hemp seeds are how I want to do it. My picky 11 yr old son loved these! I was happy to find a bar that tasted like it was made with premium flavors. Full of vitamins and superfoods, I love that there are names for the bars instead of flavors. Gluten-Free to boot! Great taste & helps with the mid-day slump. I babysit, so I need that little push (esp. since I don’t eat much during the day). I love the softer texture (I can’t handle the harder, ‘crunch’ bars). I highly recommend this snack bar.